Bursitis is the diagnosis for an inflammation of the bursa, a sac of fluid located between tissues that decreases irritation when skin, tendons, muscles, and bones are rubbing against one another. Often, it is a result of repetitive impacts on a particular area, but it may also be a result of an acute injury at work. People who are older are more likely to suffer from bursitis, since tendons become less flexible as you age. If you suffer from bursitis on the job, our Boston workers’ compensation attorneys may be able to help you recover benefits. Overusing a joint or using an incorrect posture at work may increase the likelihood that you will develop bursitis. Sometimes stress or inflammation from another condition or an infection may increase the chance of bursitis. The pain associated with bursitis may be severe, particularly if there are calcium deposits. 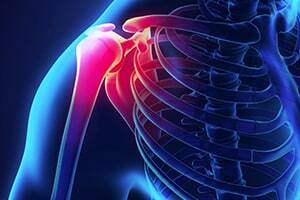 A form of bursitis is frozen shoulder, which results in a severe loss of motion. Many people in the construction industry and other physically taxing jobs are unable to work while experiencing bursitis. You should seek treatment for bursitis. The treatment may include taking anti-inflammatory medicines, icing, and avoiding any activity that aggravates the condition. Once you realize that there may be a link between your work and the bursitis, you should notify your employer. It is crucial to do this right away, since you have only four years from the time that you realize the causal connection to file your claim. While four years may seem like a reasonable length of time, the insurer may be looking for a way to get rid of your claim or deny your claim, and you should act promptly to avoid being barred from benefits. If your claim is denied by your employer, or it has been 30 or more days since your injury, and you have not heard from your employer's insurer, you may file a claim with the Department of Industrial Accidents (DIA). You should retain an attorney to file this claim, which should be completed and submitted on an Employee's Claim Form, Form 110. To the Form 110, you will attach medical evidence supporting your claim, such as bills and reports that tend to show that your injury is related to your work. You will not need to attach scans or imaging, although these may be useful later. Once your Form 110 is received, the DIA will schedule you for a conciliation, which is the first step in the administrative dispute resolution process. Although this is informal, it may make a difference to the eventual outcome to have an experienced and knowledgeable attorney on your side, particularly with a claim like bursitis, which the insurer may claim has another cause, such as a hobby or a pre-existing injury at a different job. As long as your work with a particular insured employer is a major cause of the bursitis, however, you may recover benefits for it from that employer's insurer. Bursitis may be extremely painful and debilitating. If it is work-related, you have a right to obtain workers' compensation benefits for it in Massachusetts. At Pulgini & Norton, our experienced Boston attorneys can advise you on workers' compensation claims arising out of bursitis as well as many other medical conditions. We also handle claims in Newton, Somerville, and Waltham, among other Massachusetts cities. For a consultation with a job injury lawyer, contact us online or call us at 781-843-2200.